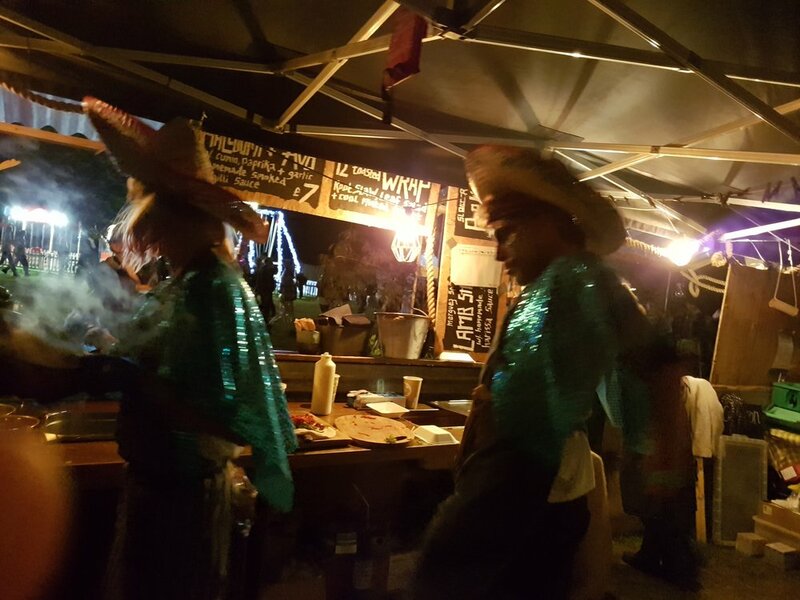 Exciting food served in a fun and informal fashion from a genuine street food stall, a great way to refuel and keep the party going. Before they started Fego Food Co. Hannah and Al were on the street food/ festival circuit with their first award winning venture The Cauldron. They earned themselves a 1st class reputation within the industry and their customers for their great flavours and use of sustainable produce. They would butcher whole animals from local farms using the various cuts to create a nose to tail menu on the go from their little green VW Van. Within 6 months they were shortlisted in the Independent newspaper as one of the three hottest new street food vans to watch and the following year in 2014 they won their category at the British Street Food Awards. 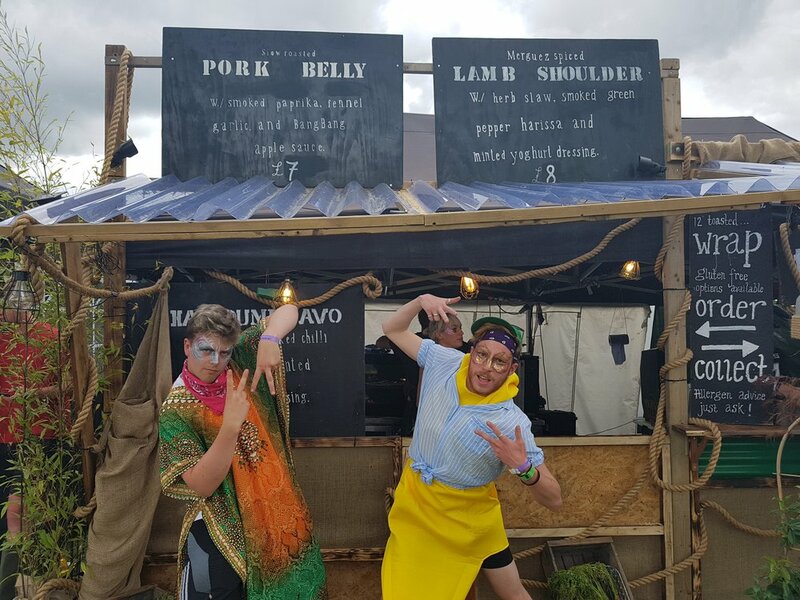 Although they decided to concentrate on Fego and The Cauldron is sadly no more; they still love to pop up at the occasional festival and street market so the little green van is still on the road, and you can get some of that festival vibe and street food spirit at your event. 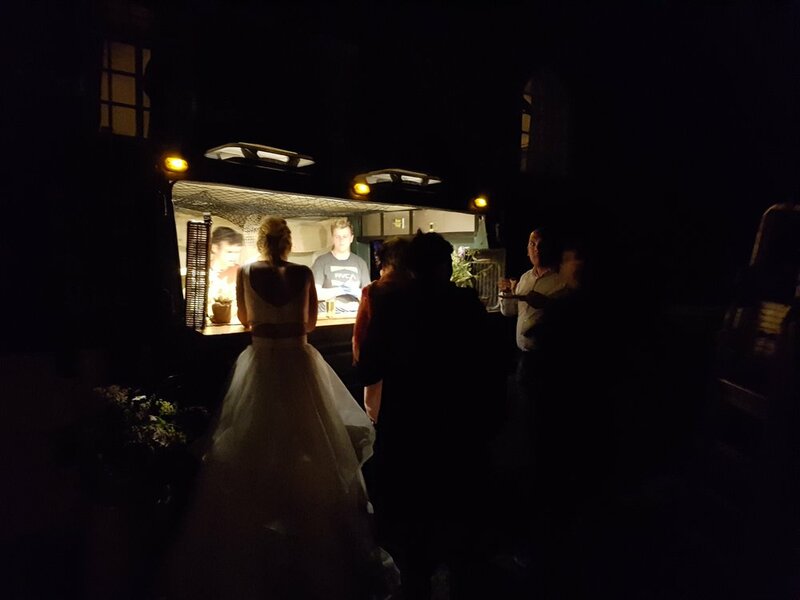 Our street food can be a great alternative to a traditional wedding breakfast or can be served later in the evening to satisfy those late night munchies. Either way it always creates an added point of interest for the guests having their food prepared for them right in front of their eyes. ALL SERVED WITH EITHER JASMINE OR BASMATI RICE AND A MATCHING SALAD. Westcountry lamb shoulder and spinach cooked with green chilli, ginger and tomatoes. Served with minted yogurt. Mild and aromatic curry of free range chicken cooked in yogurt and saffron. Sri Lanken fish stew of ling, monkfish and mussels. Devon mutton slow cooked with tamarind in a lentil curry. Shin of devon beef cooked in coconut and chilli until melt in the mouth tender. Free range chicken or pork in panko crumb with a rich Japanese curry sauce. Lamb shoulder slowly cooked in aromatic spices, chermoula and pomegranate . green harissa, smoked aubergine pickle, tahini yogurt. free range chicken breast or pork loin in panko crumb with Japanese curry sauce, pickled radishes and red cabbage slaw. Hot smoked pork and garlic sausage with mustard pickle mayo, caramelised shallots and Tommy K.
locally landed fish in a crisp panko crumb with tartar sauce and samphire. hot smoked pork with hot chipotle sauce and cool green slaw and dill pickles. Westcountry beefburger, hash brown, smoked cheddar, smoked bacon and mustard pickle mayo. with smashed avocado, chipotle sauce and lemon mayo. ALL SERVED IN A TOASTED 12" WRAP WITH BABY LEAF SALAD, HERBY ROOT SLAW AND MINTED YOGURT. slow roasted in chilli, fennel seeds and garlic with BangBang apple sauce. braised in IPA and served with a smoked chilli sauce. roasted with merguez spices with a green harrisa sauce.